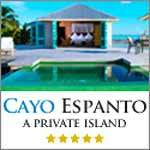 -Our home district, Cayo, is the largest in the country and home to some of its most exotic scenery and warmest people. On Thursday, it was the starting point for the second local media familiarization tour organized by the Belize Tourism Board (BTB). 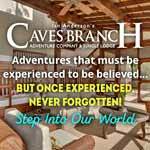 Our first stop was the Black Rock Lodge, located deep inside Cayo hill country on rugged terrain. Our host, the Lodge’s security and tour manager Giovanni Fernandez, introduces us to the Lodge’s many activities. “As you may well know, Belizeans love to jump in the river. So, that’s one of the activities that we do and promote here and having at the Black Rock would be river tubing. You hike down for about 25 minutes and then tube down the Macal River…the pristine Macal river, I must say. We do sit on a 250 acre property. 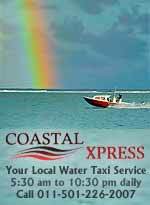 We do canoeing, tubing, bird watching, guided hikes and mountain bike rentals”. The Lodge sits next to the Macal River and across from the Don Elijio Panti National Park, named for the revered Maya healer and conservationist. One of its many attractions – not the tourist kind – is its self-sustainability. Fernandez tells us more. Mr. Giovanni Fernandez: “We are self sufficient here at Black Rock. We sit right across Eligio National Park which makes it quite unique; we do not have any disturbance in this area. We generate our own electricity using hydro-power and solar power. The lodge also has a back-up system that we use. The water that we use here is a spring water. The waste water is being treated, [we do have artificial wetland]. By the time the water gets down to the river, it’s basically clean and ready for consumption again”. Black Rock is located about 19 miles in from the George Price Highway between San Ignacio and Benque Viejo. On Friday it was off to the Mountain Pine Ridge where, eight miles in, there is the Green Hills Butterfly Ranch, the first and most active center for the study and cultivation of butterflies. It began in 1996 as an export-oriented facility but has shifted to tourism and conservation. Its owner, Mr. Jan Meerman led our tour and discusses the nature of the very friendly flying creatures he hosts. “So, what you worked through so far is the butterfly display where they are adults because to get to the butterfly stage, you need to start here with the Pupa cage where the pupae come deposited by us and when the butterfly merges from that area , they fly to this area. So, this is the flight-area. The reason I invited you to come here in the morning is because butterflies like warmth. That is why in many tropical countries, you have so many butterflies than in the tempered area. But even here, they need to have body warmth to be active. So, butterflies like to sun themselves in the morning. Now, with this beautiful weather, if you come here between 8 and 9, you see all the butterflies trying to find the sunny spot and they sun themselves. There are sixteen species of butterflies at the sanctuary, including the Blue Morpho butterfly, and countless other plants and birds. At least two of those are named after Meerman himself to honor his work with them. Mr. Jan Meerman: “When you bring butterflies, you have to know about vegetation; you have to go out and look for things. In Belize, it’s still relatively unexplored and we have discovered here on the property, several plants and animals that are new to science. One is the plant zicat that that is now named ziemiermermani, but can also be found in France and a kind of large spider was discovered here and they decided to name it after me . So, these two species that were discovered here, those are the work that we did here with butter flies as a side effect, but we do quite much more interesting discoveries”. We would like to thank Black Rock Lodge, Windy Hill Resort, Fuego Bar and Grill, Green Hills Butterfly Ranch and Ko-ox Hannah Restaurant for hosting us and providing us with our meals on this portion of the tour, and to Belize Transit Services for transportation. Caye Caulker and Ambergris Caye have acquired quite the reputation among tourists as preferred destinations in Belize. 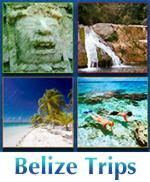 Our Belize City journalists visited them both this weekend with the Tourism Board. First, they headed to Caye Caulker, “La Isla Carinosa,” where they were hosted by Seaside Cabanas and Island Magic Resort respectively. Their first appointment was with Anda de Wata Tours for the hottest thing to hit Caye Caulker since spiny lobster. It’s called “island tubing”: like cave tubing, except it’s on open waters. The guide and owner of the tour company, Artemio Marin, has fourteen years’ experience as a cave-tubing guide and decided to export the idea to his home island. He shares the results. “This particular tour has been a very new tour. It has been well received among the tourists that come to this island; no negative complains; it has been increasing in popularity over the last year”. Mr. Artemio Marin: “I would love to get more Belizeans involved, I love taking eblizeans out; this is a part of their heritage. Most Belizeans, when they come to Caye Caulker, they just have a great time relaxing on the beach having a few drinks, having cocktails, but very few make it out to the reef and tours like this. I would love for Belizeans…it is a very unique experience coming out and viewing and experience their heritage from their country”. “One of my friends, well actually I ask about the tour guide, what work he does. Then, after that, I came here for a trip to the Hol Chan Marine Reserve, and just that trip made my mind change to stay here. I’ve been five years here on the island and I have never been back home”. Reporter: “Would you encourage other young people to take up the opportunity and be a part of the tourism industry in Belize? Mr. Pedro Oh: “Yes, because if everybody knows that the tourism business plays a big role in this country. So, my advice to younger generations is that just go out for it and if you love the water and you want to see cool stuff, it’s all in here. 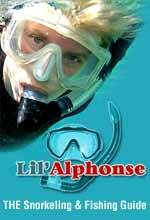 The underwater world is a really great experience”. The second stop in the Reserve was Shark Ray Alley, whose fearsome reputation does not stand up to the hype. Most of its occupants are rather tame and swam right up without hesitation. The Dive Center’s principal diving master trainer, Emiliano Rivero, tells why the area has never looked better. A few years ago, the health of the area has declined. 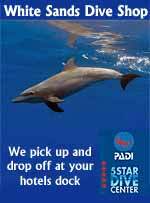 There were much more guests, but now, the Hol Chan marine reserve, the San Pedro Tour Guide Association and the guides themselves are now working on putting our guests aware of the situation. So, they are more strict when it come s for the conservation and the protection of the area. So during recent studies at the Hol Chan Marine Reserve, the health of the reef has improved a little more for the past two years. We are not allowed to stand on or touch any coral or collecting anything dead or alive from the area and there’s ratio 8 to 1 person in the water. So, guides can see that nothing is being done that is not permitted in the park”. After a final lunch at the Holiday Hotel’s Caprice Restaurant, it was time to say goodbye. BTB’s media and public relations manager and chief chaperone on this trip was Andrea Polanco. “For the past four days, we’ve been doing the Media Familiarization Tour for local journalists. So, what we’ve really done is to have them have you guys, really get to see what Belize has to offer as a tourist destination, particularly for our locals. Most of the times, you receive reports about just the quality of service really improving, all the work that the BTB has done to really get our industry to international standards, and of course, we wanted you guys to really see that, experience that for yourselves and I believe you got the chance. 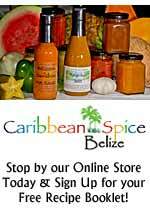 You guy are one of our biggest partners in terms of making Belizeans aware of what we have here. So, we want you to tell the story of how amazing our country is; just how much our service providers are really dedicated to this industry; the quality of service that they offer. We have beautiful attractions. Everywhere else in the world, they also have beautiful attractions. But sets Belize apart is just how committed the people who work in this industry are to deliver quality service to have you guys have an amazing experience. So, I believe you’ve had the opportunity to see that just for yourselves”. In July of this year the Belize Tourism Board took journalists from the local press on a familiarization trip to Southern Belize in an effort to promote domestic tourism. From Thursday, December 5th, to Sunday, December 8th, BTB hosted a second familiarization trip for the local press to visit destinations in Cayo, Belize City and Ambergris Caye. The expedition was launched at 7:30 a.m. on Thursday as journalists from Belize City and Ambergris Caye boarded a Belize Transit Services bus at the BTB headquarters on Regent Street. The team, led by BTB’s Media Relations Manager, Andrea Polanco, headed west to San Ignacio, Cayo. The first stop on the tour was the Black Rock Lodge which is about four and a half miles west of San Ignacio Town. On the right hand side of the George Price Highway (heading towards Benque) there is a “Block Rock River Lodge” sign at the entrance to a dirt road. The recent rains have put a pounding on the seven mile stretch of dirt road and the short drive is a scary one. The bus swerved cross and cross the muddy road and huge rocks crashed viciously between the wheels. As the driver battled to maneuver the bus through the treacherous terrain the ladies on the trip fought to hold in their screams. There were a couple interruptions in the screaming competition when the bus passed a couple impromptu waterfalls cascading down the hills at the side of the road, no doubt formed as a result of the record breaking rainfall in the last two months. The scary travel through the off road climaxed at the end where a steep fall led to the edge of a cliff. At this point even the men were screaming. Everyone soon learnt however that the trip was worth it as the Lodge proved to be all it was hyped up to be. 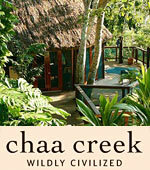 The Black Rock Lodge rests within the majestic Maya Mountains and overlooks the pristine Macal River. According to Giovanni Fernandez, Tour Manager of Black Rock Lodge, it is possible to sight over 200 species of birds from the 250 acre property. Canoeing, river tubing, bird watching, guided hikes and mountain biking are only a few of the many activities offered at the Lodge. Black Rock Lodge’s management takes pride in it being an “eco-lodge”. The electricity for the cabins is produced at the site using a micro-hydro and solar power system. The water is supplied by a nearby mountain spring. Wastewater is processed through a system using plants and aerobic activity to recycle and return to the river. 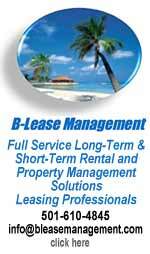 Belizeans can get a room for as low as $70 a night at the Black Rock River Lodge. After touring the property the group had lunch before departing for Windy Hills Resort where we would stay the night. The relaxing atmosphere at Windy Hills Resort provided the perfect setting for conversation and formation of friendships between colleagues. Around the time the sun was setting, everyone gathered around the pool and exchanged stories and jokes. Windy Hills is a perfect place for a group retreat. It is located in a quiet tropical setting that is perfect for reflection but it also provides modern amenities. The resort consists of 25 private cottages and also has a recreation room, fitness center dining room and swimming pool. The air conditioned cottages have flat screen television and high definition cable channels. Leaving the resort is difficult but the group had to do so Thursday evening for dinner at Fuego Bar and Grill in the heart of San Ignacio Town. The team at Fuego Bar and Grill gives you a warm feeling like you have been there before. The service is great and the décor is impressive. The food is average but the price is reasonable. I would recommend the fried plantain chips and special sauce for appetizer, baby back ribs for main course and, if you have space, the guava cheesecake for dessert. Most of us had grand plans for a night out in San Ignacio but after such a filling meal those plans were aborted for nothing seemed better than surrendering to the soft bedding at Windy Hills. Friday would be another long day. The schedule included a stop at the Green Hills Butterfly Ranch and Botanical Garden (eight miles in from United Ville), a horse and carriage tour of Belize City, Visit to Belize Museum, and tours of Travellers Limited and Belikin Brewery with Brew Master Nolan Michaels. Details on those adventures in next week’s paper.